A long pending demand of passengers for a morning train service between #Jaipur and #Jodhpur has been approved. A new super fast special train commence its first journey from 21st August. The train with 15 coaches, including AC and non-ac chair cars, will leave at 6 am and reach Jodhpur at 10:30 am. 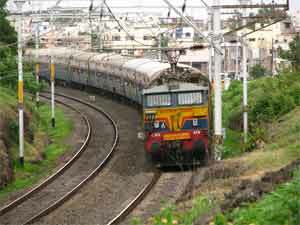 In return journey from Jodhpur, the train will depart at 6:15 pm and reach Jaipur at 10:40 pm. The train will have brief stoppages at Phulera, Kuchaman City, Makrana, Degana, Merta, Gotan and Rai-ka-Babh.